A torn meniscus can be repaired, regenerated or replaced at The Stone Clinic. Our Meniscus Transplant Center is dedicated to replacing the meniscus and has been successful at getting athletes back to high levels of activity, even if they had developed arthritis. The meniscus is a soft and fibrous cartilage resting between the femur and the tibia in the knee. The meniscus plays a crucial role in joint stability, lubrication and is capable of withstanding tremendous forces and an average of over two million steps per year. A healthy meniscus provides a gliding surface in the knee that is 5 times smoother than ice on ice. "We think meniscus tissue is too important and specialized to live without so we've spent decades developing techniques that help keep your meniscus where it belongs. In your knee." If your meniscus was removed, you should know that it may be possible to replace it. The Stone Clinic runs one of the few centers in the world dedicated to the diagnosis, surgical implantation and rehabilitation of meniscus transplant patients. When your meniscus tears, the knee becomes unstable and the forces of weight bearing concentrate onto a smaller area of the tibia, leading to arthritis. Most tears do not heal with suture repair. 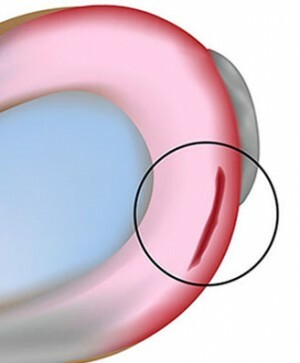 Complex tears require advanced techniques of suture repair plus growth factors. We now replace the entire meniscus with a new transplant when significant portions are lost in order to protect the joint or relieve arthritis. We do our best to keep as much of your meniscus where it belongs - in your knee. 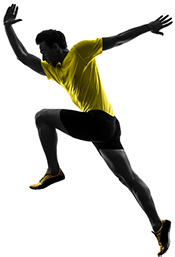 Our goal is always to save your meniscus cartilage when possible. Over the past twenty-five years, Dr. Stone has developed many techniques to treat meniscus tears, including repair techniques that focus specifically on bringing new blood supply into damaged tissue so a larger area of the meniscus can be repaired than previously thought. 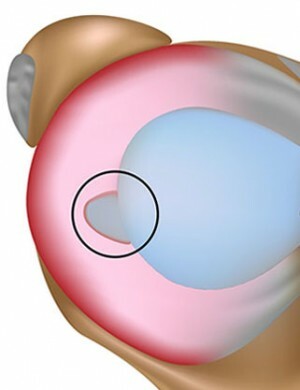 Often, meniscus tears can be treated by removing the unstable areas while repairing the stable areas, most often by suturing the cartilage from the inside out and often adding growth factors, stem cells, and clot materials to augment healing, even in older people. You can return home from the surgery center the same day after having a meniscus repair. While our goal is always to save your meniscus cartilage when possible, for more substantial tears, especially toward the inner 2/3 of the meniscus or when the tissue is hardened and calcified, we recommend a meniscectomy, or meniscus trimming. A meniscectomy is trimming the torn edges of the meniscus to eliminate torn pieces that can cause pain, swelling, and locking. Only the smallest amount of meniscus tissue necessary to eliminate the pain or locking is removed and the result is a clean, smooth edge of the meniscus that avoids locking while retaining cushion and stability. The art is in shaping the meniscus in a way that preserves it function. You can return home from the surgery center the same day after having a meniscectomy. When your meniscus is damaged beyond repair, or has been removed in a prior surgery, your knee is lacking its main shock absorber and is known as being "bone-on-bone." You may be fitted with a new meniscus, or a meniscus transplant which has been shown to reduce pain and improve function even in people with moderate to severe arthritis. In order for the transplant to succeed, the new meniscus must perform the same mechanical function of your original meniscus to stabilize and support your knee. We have developed a technique over the past 20 years of replacing the meniscus while minimally disrupting other joint tissues, accurately placing and securing a meniscus transplant to the knee. 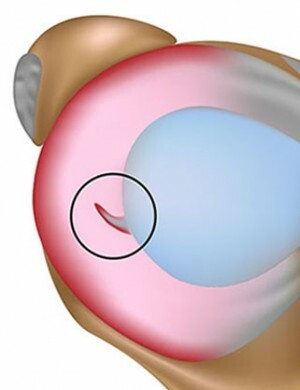 The surgical procedure of meniscus transplantation involves first removing the torn fragments of original meniscus cartilage, securely placing and attaching the meniscus transplant enough to permit axial and rotational loads, and finally checking the placement to make sure the rest of the tissues in the knee aren't affected by the new meniscus. A meniscus transplantation can be done simultaneously with a ligament reconstruction or an articular cartilage paste graft if needed. Depending on the degree of damage to your articular cartilage, the weight-bearing surface of your knee, you may be a candidate for the BioKnee Program. The BioKnee Program is a combination of meniscus transplantation, ligament reconstruction, and articular cartilage paste grafting custom designed to your individual needs to help your meniscus transplant last for years.